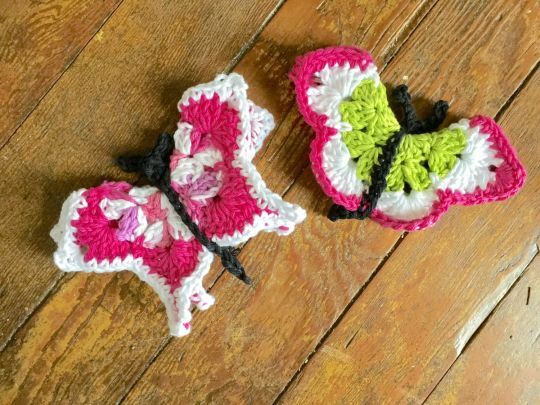 I found a tutorial video for a butterfly and I made one following the directions (on right) and experimented with the design (on the left). This pattern creates a square that you fold in half. Not sure if I would prefer just making a flat version. Also, the pattern required a pipe cleaner for the body. I chose to crochet a body instead. oh meanjaws — that is BRILLIANT. I’ll post a blog about the idea and we can post some pattern links.